Big L Lumber offers a wide range of design services for residential homes, commercial buildings, pole barns, patio deck packages, Dream House plans, RTS Homes, sheds, playhouse, or any other project you have in mind. 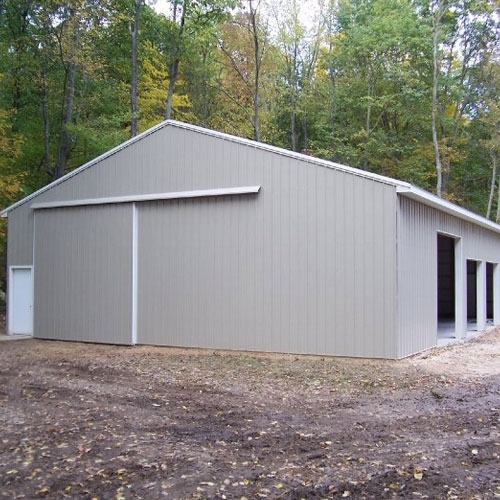 Request a pole barn estimate online. Big L has available a professional residential designer with extensive experience in today's somewhat complicated new home design. He can custom design a new home, addition or pole building to your specifications. Got a plan you need some changes on? Just bring it to us and we will make the necessary changes and get it back to you quickly. or all of the plan cost. Big L Lumberland does not charge for our Estimating Service - It's FREE! And it's fast! No need to wait weeks for a detailed and itemized list of the materials needed for your building project. We get it to you quick and accurate, provided by our professional estimator. Big L furnished building materials for jobs ranging from a simple deck to a multi-family complex. On most of these projects, we estimate materials in house. We believe in honest, accurate estimating and are careful to include sufficient materials to complete your building project. Your building project is estimated by a professional with many years of experience in building techniques and new products on the market.